Home » Blog » Selling Advice » How Much Is My House Worth? Though the property market is notorious for constantly changing, it is important for any homeowner to understand the value of their own property. Whether you consider your house a home, or simply view your property as an investment, knowing the true value can give you an edge when negotiating a price, should you ever choose to sell. One of the most frequently asked questions by homeowners when selling a home is “how much is my house worth?” The truth of the matter is there is no fixed answer. This post will detail why you should know how much your house is worth, how to find out what your house is worth, the factors that affect the value of your property, and how to increase the value of your house. Though it’s easy to assume once you move into your first owned property that you’ll never leave, every day circumstances arise that could require you to sell your house fast. Perhaps you’ve been offered a dream job at a different part of the country, you’ve chosen to downsize due to retirement, or maybe you are struggling with debt and need a quick cash injection. Whatever your reasoning, if you want to ensure that you get the best possible price for your precious property then you need to understand its value to be able to benchmark offers accordingly. According to data from HM Revenue and Customs, in 2017-2018 approximately 1,207,720 residential property transactions in the UK with a value of £40,000 or more were completed. Of this number, an estimated 1,024,850 were properties in England. This figure also reveals a 4% increase in completed residential property transactions in England from the previous financial year. You may not expect your property to be worth £40,000, however, if the homeowners within the data sets did not know the value of their house, it would have been difficult to negotiate and they could have made a loss. Since house prices are not easy to track, many homeowners often find themselves surprised when they receive a valuation report from a chartered surveyor. If you are certain that you want to sell your house then a valuation is essential to get an accurate insight into what your house is worth and what you can expect to receive from a sale. But, if you are not planning on selling but wish to know your house price, you may wish to explore free options first. Track house price trends by area: Your first port of call should be to get a general overview of the market, specifically your local area. Though this data is usually out of date by a month or so, the Land Registry collects data on sales and records near every residence in England in Wales. Its official House Price Index offers average house prices by country and region across a variety of property types. Monitor housing market forecasts: It is worth taking forecasts with a pinch of salt as nobody truly knows how the property market will evolve. However, websites such as HousePriceCrash use data from the Land Registry, Hometrack and the Financial Times to crunch property trends and prices. Consider the sale price: Though property values will naturally be different now than what they were decades ago, Nationwide’s House Price Index Calculator is useful to at least understand how much property prices have changed. This tool is, of course, limited as it doesn’t account for area or other factors that may impact the value of your home. Get a free online valuation: There’s plenty of online valuations that are free. They are often considered questionable as many only ask for your postcode and number of bedrooms. Additionally, more cynical property experts have found that free online valuations usually overestimate the value of a house so if you do use one, be sure to take your results with a pinch of salt. Get a physical valuation: Since this is the most costly method of finding out how much your house is worth, we wouldn’t recommend it for day to day use. However, if you are planning to sell your house then it is worth the money to get a realistic insight into what you can expect to make. If you wish to sell your house fast Good Move can help with your valuations. With our speedy process, there are no hidden solicitor, valuation or estate agent fees. According to Land Registry data, as of August 2018, the average house price in the UK is £232,797 and the index stands at 112.1. This reveals a 0.2% increase compared to the previous month and a 2% increase compared to the previous year. 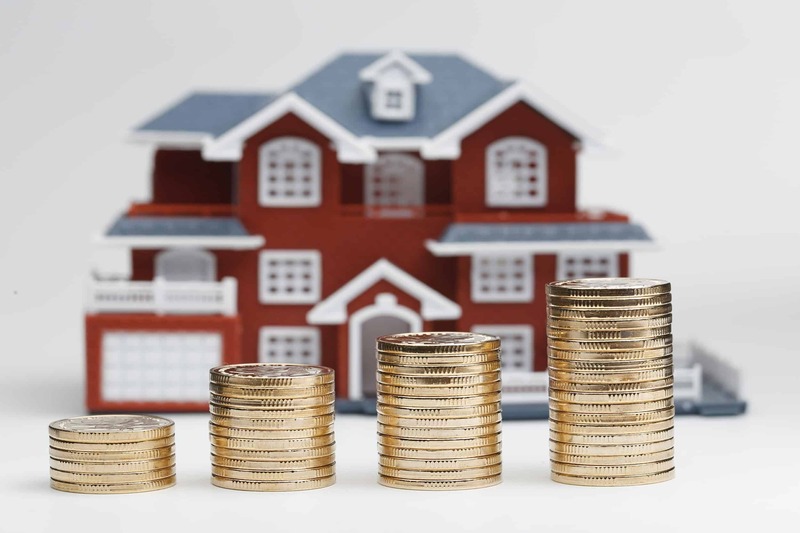 Alongside the fluctuation of property prices, there are many factors that can affect the value of your home, ranging from the area, the weather and local amenities to even how much storage space you have! Check mechanics: Hire an electrician and a plumber and get them to check over your property as loose wiring, faulty plugs and water leaks can all devalue your home. Treat any damp: Damp is frustrating as it can be difficult to permanently eradicate. However, it can be treated. Either hire a company to treat your house or do it yourself with mould killer and anti-mould paint. Clean your carpets: You don’t need to replace your entire carpet. However, ensuring that it is clean and in good condition can quickly update a home. Hire a professional carpet cleaner or, if it’s beyond saving, cover it with strategic area rugs. Add a closet to your bedroom: Did you know that a study can’t be considered a bedroom because it doesn’t have a closet? Adding in a custom closet system and plasterboard will not only increase your room number, but the customisation will also increase your overall property value! Consider the garden: A freshly mowed lawn and a nice driveway are fairly easy to implement and they add to the overall appearance of your property. Why not try a spot of gardening yourself? Or, if you are willing to splash the cash, speak to a landscaper. Update your kitchen and bathrooms: Don’t let cracks and chips devalue your bathroom; update your suite with clean, modern fittings and be sure to replace dingy tiles and discoloured flooring. The same applies to your kitchen; update your appliances and white goods and ensure the colour choices are cohesive. Increase your storage space: Consider adding wire and laminate storage systems to closets, cellars, pantries and bathrooms. It reduces clutter, increases customisation and generally improves the overall appearance of your property. Whether you need a cash injection or are relocating to your dream home, if you’re looking to sell your house speak to Good Move. We use RICS certified chartered surveyors to gain a unique insight into the sector and to provide you with an accurate estimation of house much your house is worth. Contact our team today for a free cash offer.